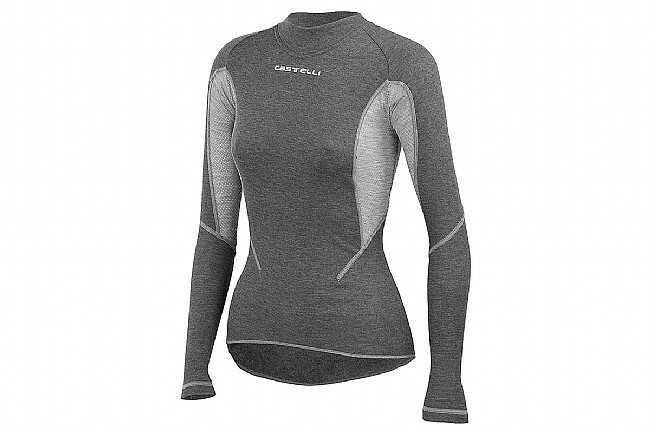 The Castelli Women's Flanders Warm Long Sleeve Baselayer features a SottoZero fleece interior that insulates against low winter and spring temperatures while also wicking moisture and having an incredibly soft feel against the skin. Mesh inserts at the underarms improve airflow, and the stretchy fit with flatlock seams means it layers perfectly underneath a jersey or jacket without hindering mobility or causing irritation. Flat hem construction lets it tuck securely into cycling bottoms without creeping up during the course of riding. 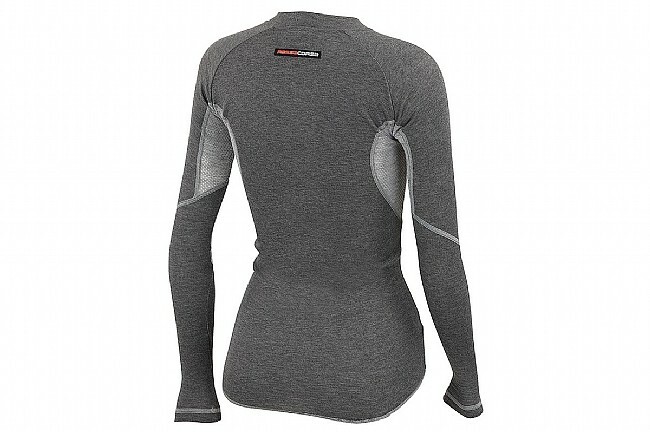 Great base layer-perfect warmth with minimal bulk. Used as a base layer. The neck is comfortable and side vents perfectly placed. Like all wool clothing, odor requires appropriate laundering to rid accumulated funk after multiple wears.